England exit Euro 2016, another tournament defeats the team, and another tournament claims the job of the England manager. Roy Hodgson resigns immediately after the final whistle. The pundits are now bickering on what went wrong and twitter is awash with strategies that should have been, and players that shouldn’t have started. In a game where Roy ‘tinkered’ again, by bringing in Kane, Sterling, Walker and Rose, dropping Vardy and Lallana to the bench and not using the excellent Clyne or Bertrand, he seemed to be slipping back into his old ways. It wasn’t long before the majority of England fans realised Kane was taking free kicks again! The game started on a high with Sterling immediately onto a long flick and brought down in the box by the Iceland goalkeeper, to be awarded a penalty which Rooney swiftly converted. The deficit was quickly eroded after the hallmark long throw into the box through which England have so busily been preparing for according to Hodgson, and converted past Hart by an unmarked Sigurdsson. England were punished again in the 18th minute through Sigthorsson’s shot which Hart should have stopped but the ball went through his hands – where have we heard that one before? 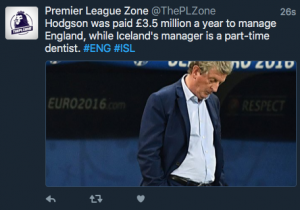 Iceland then dug in and despite changes which didn’t introduce Lallana at all, Wilshere (considering some of the part timers for Iceland have probably played more minutes than he has) was introduced for Dier on the 45th, Vardy for Sterling on the 60th, and it wasn’t until Rashford’s introduction for Rooney on the 86th where some sense of urgency seemed apparent. Rashford managed to weave his way through 3 Iceland defenders on his first run and two on his second before winning two corners. Something England hadn’t managed in the previous 86 minutes! 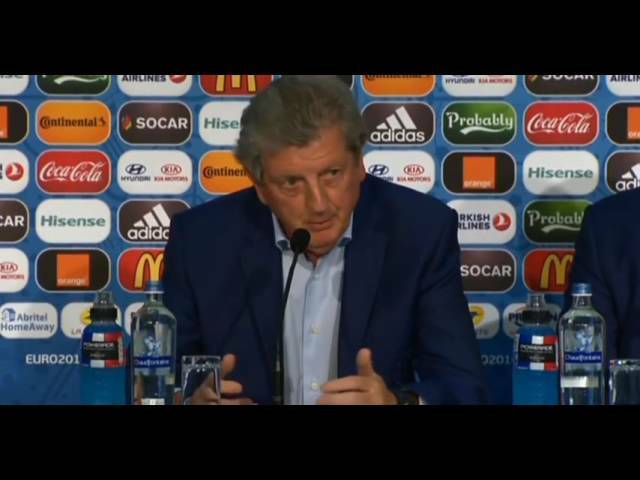 So England are out and within minutes of that debacle of a performance, Roy Hodgson was in front of the camera’s with a pre-written statement and taking no questions. Where do we go from here? England exit Euro 2016 and it is clear something is wrong. As one of the richest footballing nations, we cannot seem to put together a team that can win a major tournament. It is clear some of the players were doing things that they never should have – Kane free kicks – and clear (to me) some players should never have gone, with equal resignation that quite a few players should have gone and been in the starting line-ups (Drinkwater, Albrighton, Noble). England needs a shake up and a few of these £200,000 a week players need to step up to the mark as there are several thousand England fans in France who sold their wives to watch England exit Euro 2016 tonight!